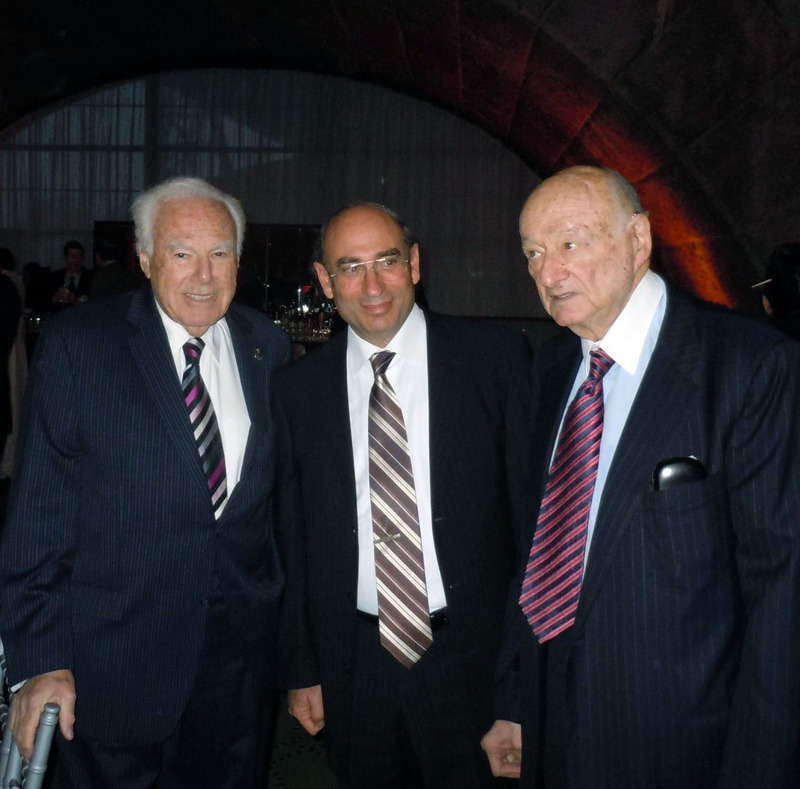 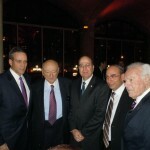 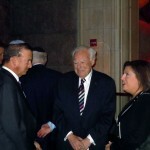 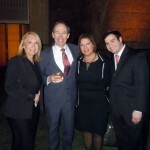 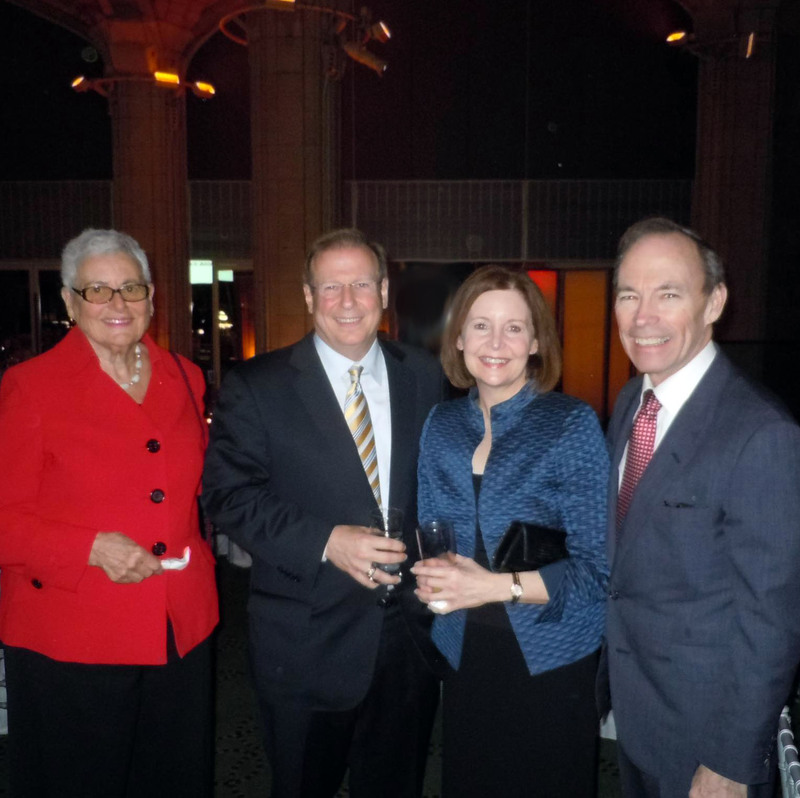 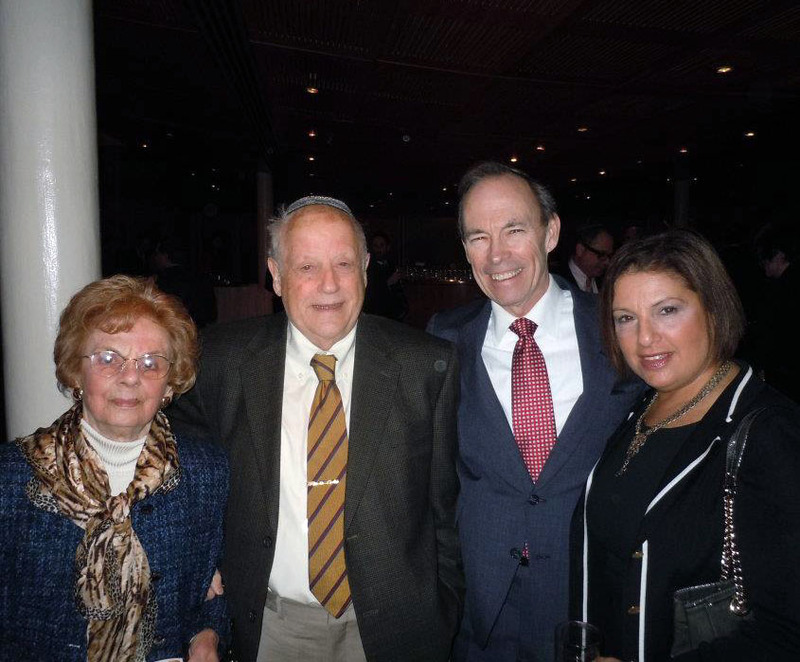 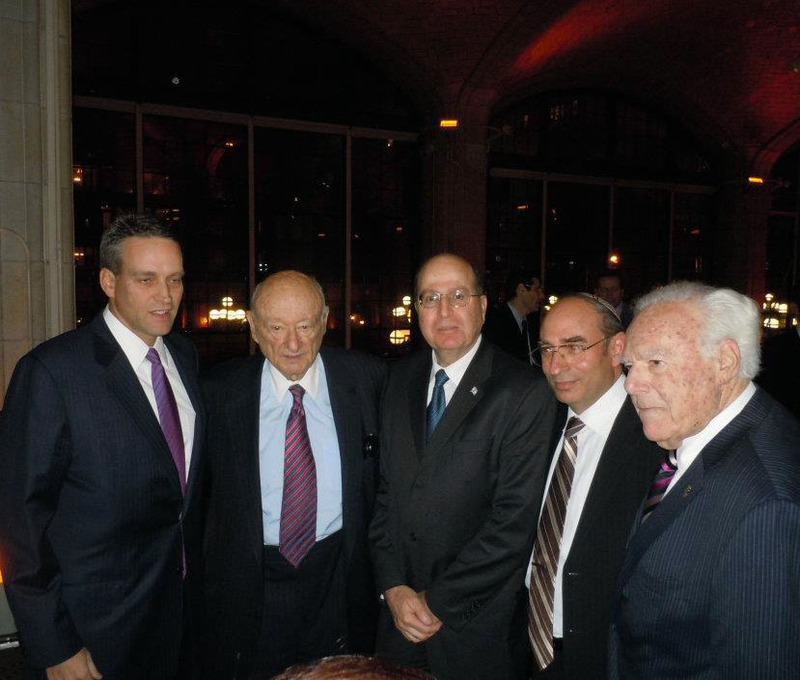 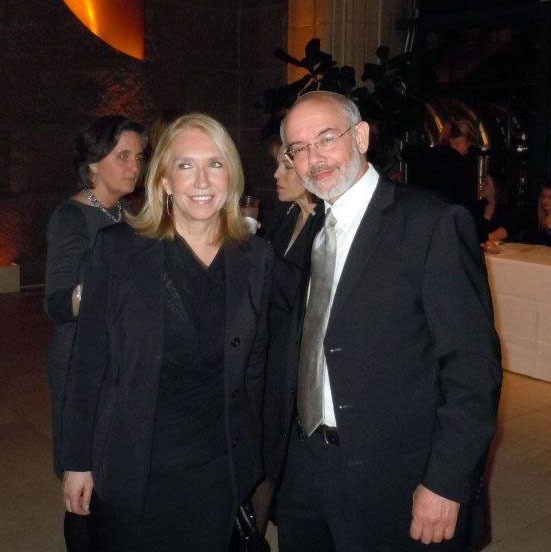 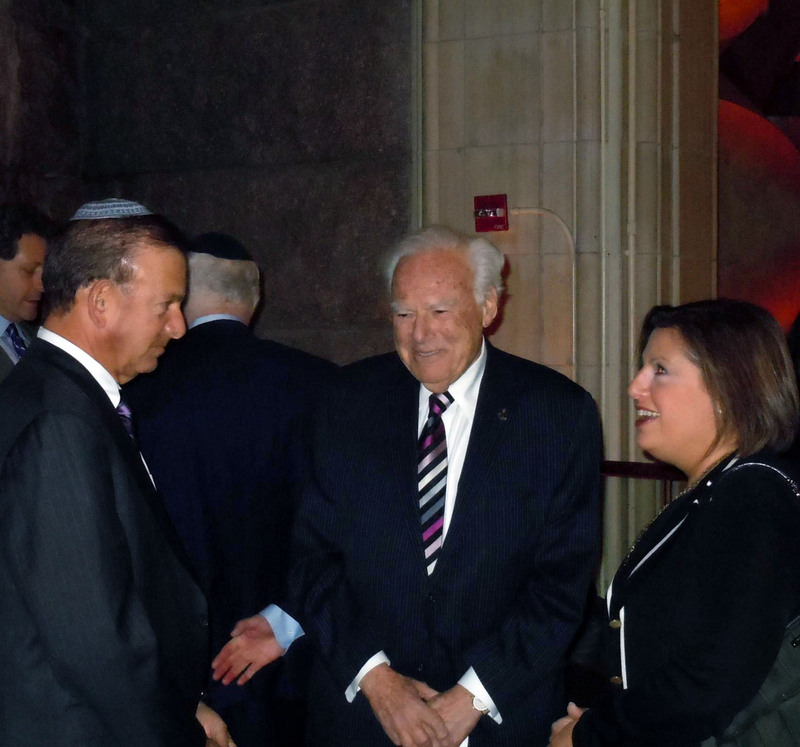 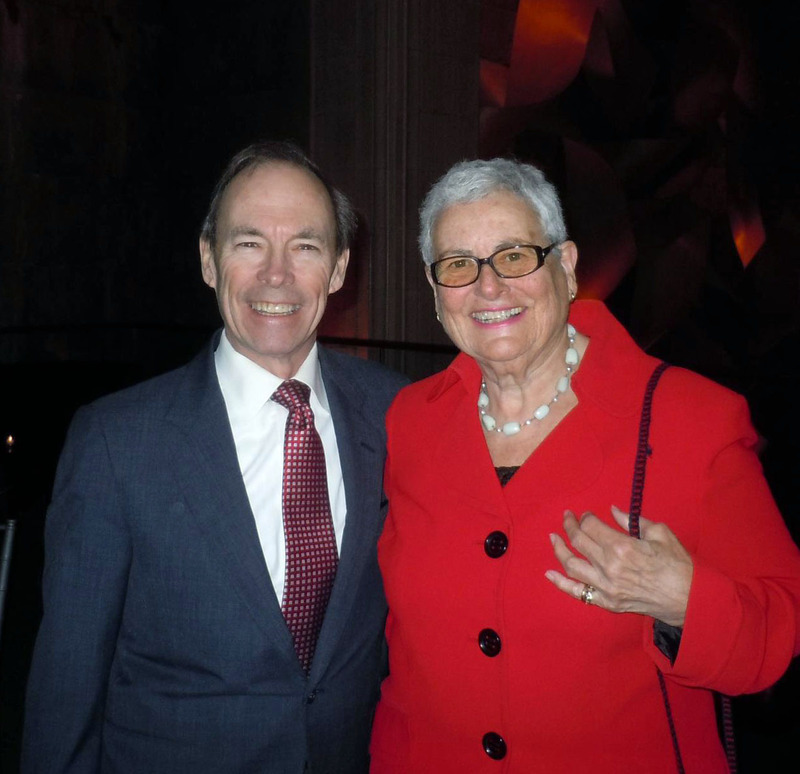 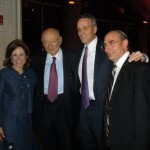 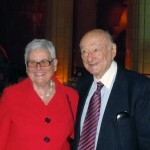 The American Friends of Beit Morasha of Jerusalem honored former Mayor Ed Koch at a dinner held on January 25th at Guastavino’s, the extraordinary space under the Ed Koch Queensboro Bridge on East 59th Street. 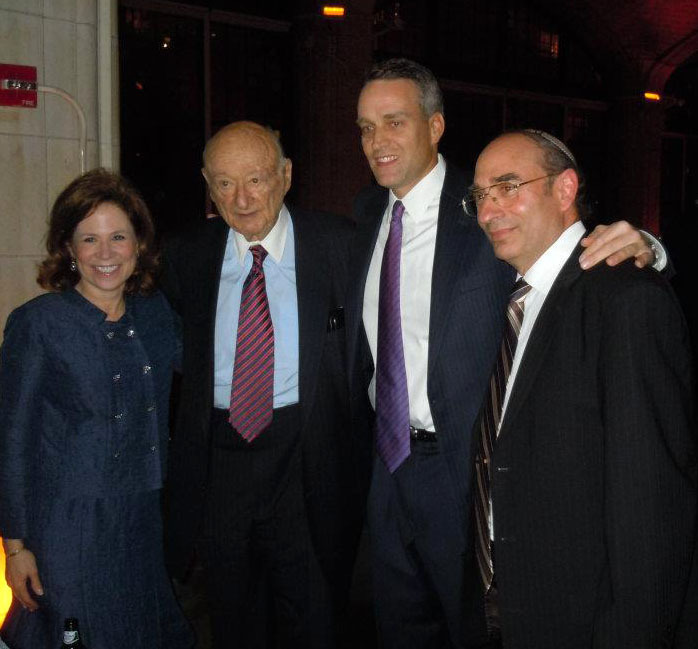 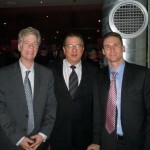 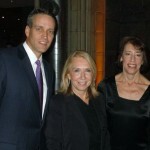 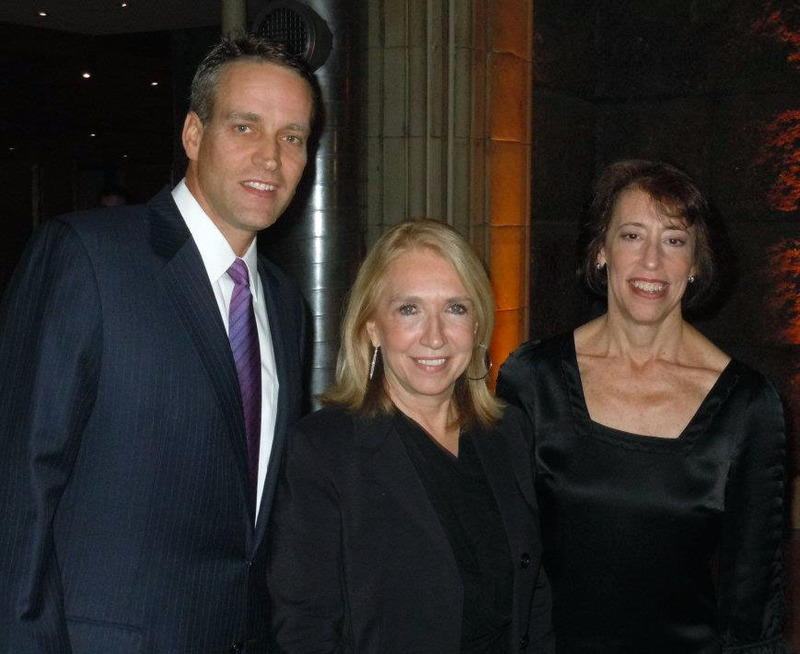 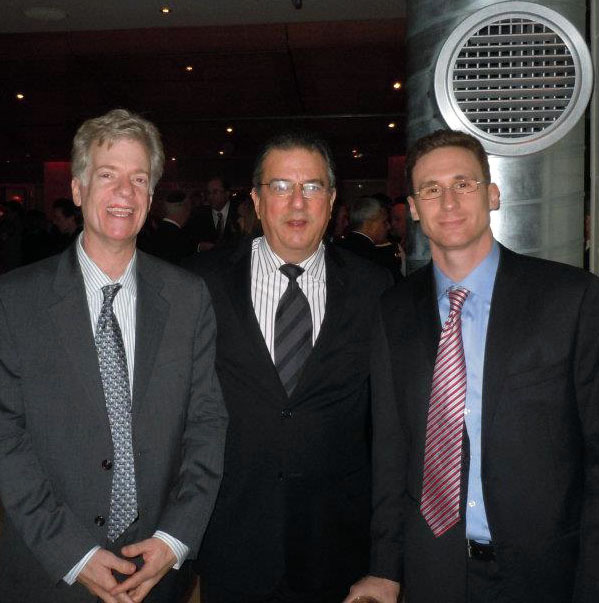 The Robert M. Beren College of Beit Morasha announced the establishment of the Edward I. Koch Center for Public Policy and Jewish Ethics. 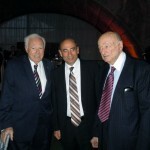 A crowd of over 200 people gathered with special presentations by Mayor Michael Bloomberg, Minister Moshe Yaalon, Israel’s Vice Prime Minister and Minister of Strategic Affairs, and Benjamin Patton, grandson of General George Patton. 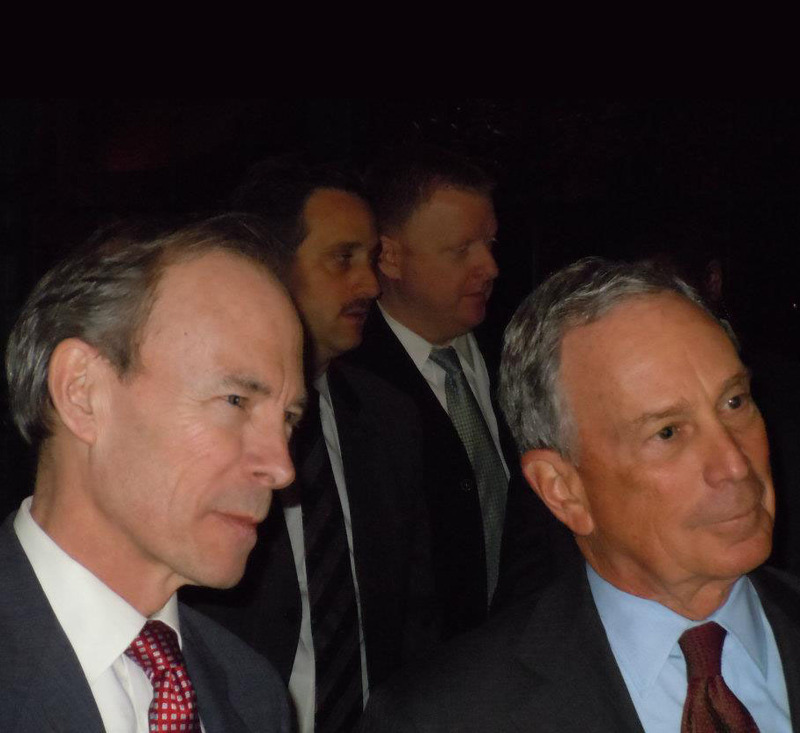 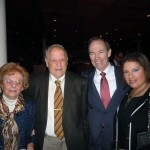 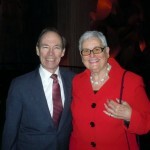 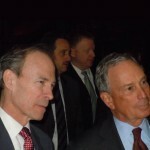 Jim Capalino and Mayor Michael Bloomberg at Guastavino's.